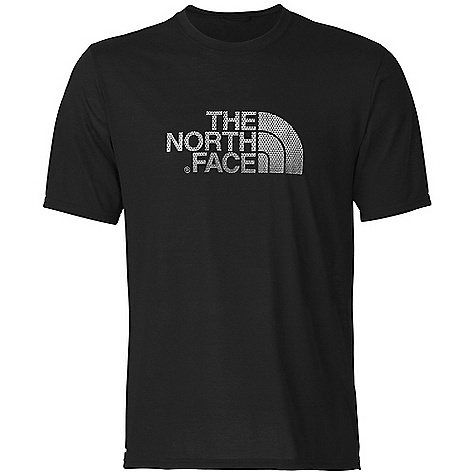 Exceed your own expectations in the breathable, moisture-wicking MA Graphic Reaxion Amp Crew T-shirt from The North Face. 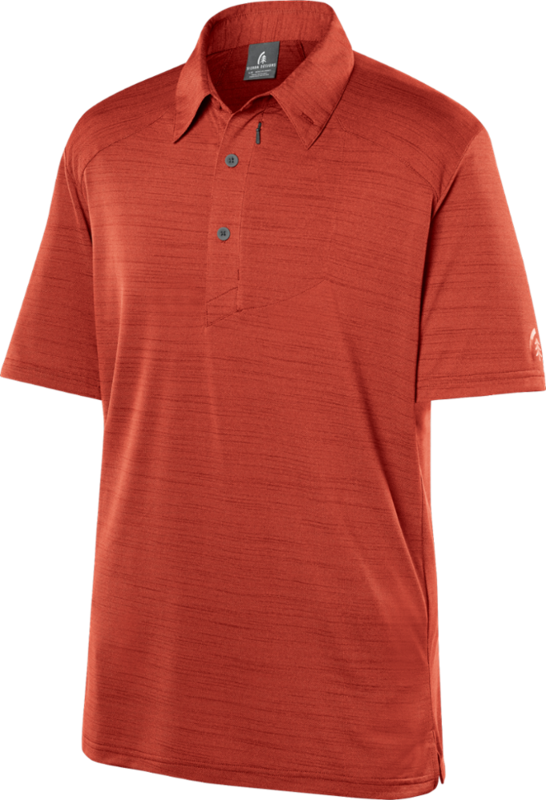 A droptail hem adds coverage while you're working the bars and bells. 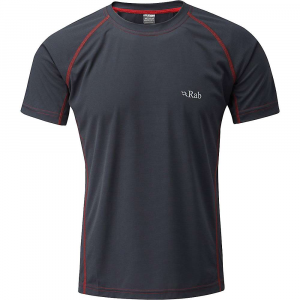 Exceed your own expectations in this breathable, moisture-wicking FlashDry tee with a drop-tail hem for added coverage while you're working the bars and bells. 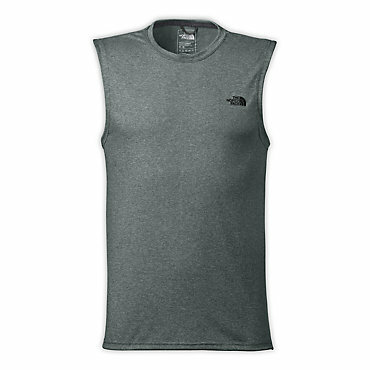 The North Face Men's MA Graphic Reaxion Amp Crew has the attitude your workouts and cross-training sessions call for. 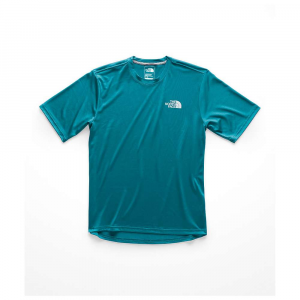 The North Face Mens MA Graphic Reaxion Amp Crew - Push your limits in this Mountain Athletics training tee that delivers technical performance with a soft, cotton-like feel. 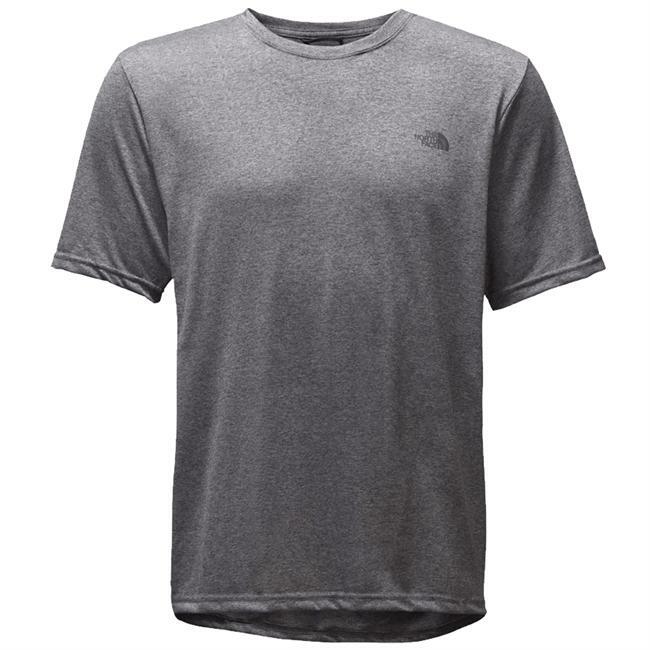 This best-selling performance tee has excellent moisture management and a soft, Cotton-like hand feel. 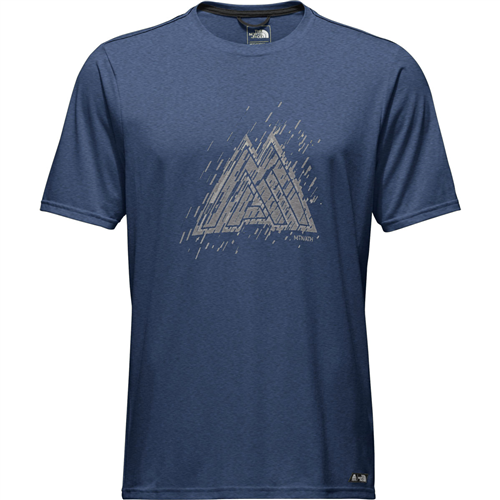 Mountain Athletics(TM) graphics hook back to the entire collection.